It's a new "old" look for @BHGolfEquipment - the new PTx PRO irons go retro. Have you ever had a club you wish to hell you’d never got rid of? For me, it was a set of Y2K Hogan Apex Plus irons. They didn’t have much sentimental value – I bought them on eBay for about $75. They had plenty of bag chatter, some nice wear marks right on the sweet spot and felt like a foot massage from a young Kathleen Turner. Loved the look, too, with the Hogan signature and the Sunburst logo – just the sight of them made my heart do the Rhumba. I don’t know who’s holding them now, but I want them to know I still love them and miss them terribly. For any old-school Hoganistas out there who loved the Spalding-era ’99 Apex blade or ’00 Apex Plus, you might be in for a little flashback with this week’s release of the new Hogan PTx PRO forged irons. They take you back a bit, don’t they? 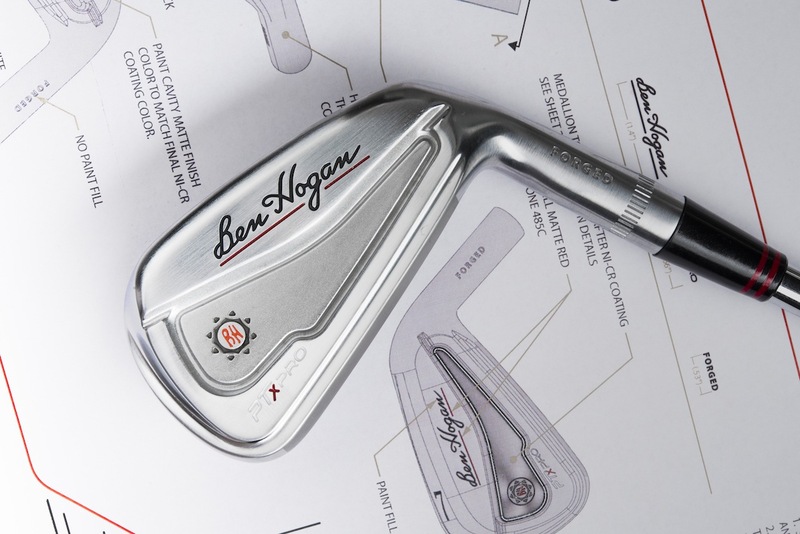 The new new Ben Hogan Company has had a bit of a branding problem. 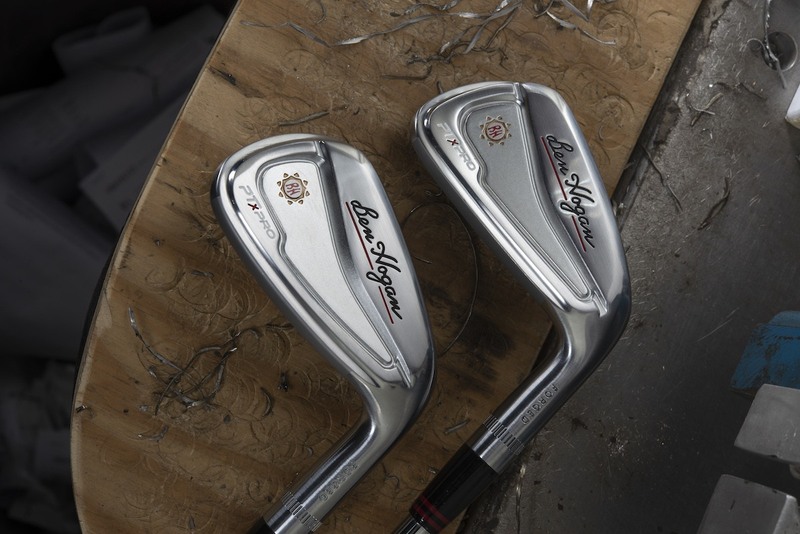 The Ft. Worth blades, the old PTx cavity backs, and last year’s Edge game improvement irons, while all fine sticks in their own right, had no branding consistency. They’re all members of the same family but look like they all came from different fathers. The new PTx PRO still doesn’t fit with the other two irons sets, but it does look enough like the Apex Plus and its Spalding/Callaway progeny Apex Edge and Apex FTX to be listed as a direct descendant on Ancestry.com. 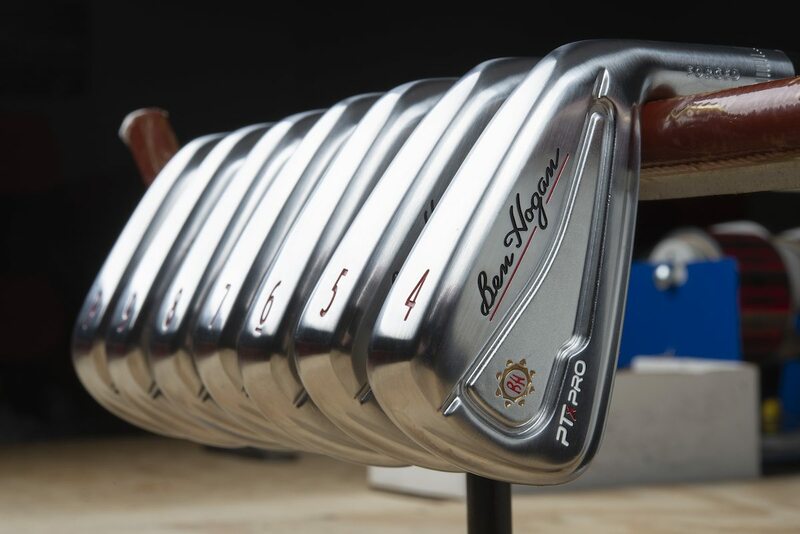 The original PTx irons were released in 2016, the last club released by Hogan before it declared bankruptcy in early 2017. Since rebooting in August of that year, the PTx has been Hogan’s best-selling iron, but three years later, it’s due for an update. The obvious updates are aesthetic, but there are a couple of things under the hood that should matter to you. If you define forged irons as an iron forged from a single piece of steel then no, the PTx PRO doesn’t qualify. That line, however, continues to be blurred by OEMs offering multi-piece heads with forged components. In that sense, Hogan isn’t breaking any new ground with the new PTx PRO’s. In fact, other than aesthetics the long irons in both the old and the new PTx irons appear to be virtually identical. Both sets’ long irons feature hollow-bodied, three-piece co-forgings, with forged 1025 carbon steel frames and forged MS300 faces. Tungsten weights are placed in the toe area to fine-tune CG, launch angles and spin. The scoring irons (8-PW) are also fairly similar in construction to the original PTx irons. Like the old irons, the new PTx PRO feature the forged frame and face, with lighter titanium cores to help lower the CG, but there are slight differences. As was the case with last year’s updated Ft. Worth irons, Hogan has modified PTx PRO V-Sole, with a more aggressive bounce on the leading edge and a softer bounce on the trailing edge. “It not only allows a good player to manipulate the clubhead for any lie, but it really reduces turf interaction,” says White. We haven’t seen or tried the new PTx PRO irons yet, so there’s no practical feedback we can give. The original PTx was included in our 2017 Most Wanted Player’s Iron testing and scored very well in ball speed and carry distances, but both the long and short irons dropped off when it came to accuracy. The technical updates to the scoring irons, Linear Center of Mass Weighting and V-Sole are helpful tweaks that should address those areas, but certainly seem to be playing a supporting role to the obvious aesthetic upgrade. 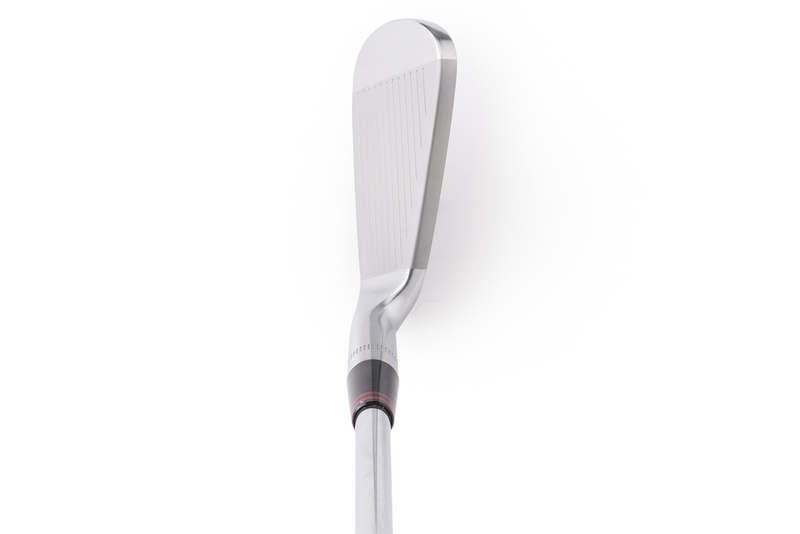 The loft structure remains what purists would consider more or less traditional, and are identical to the original PTx irons, starting at a 22-degree 4-iron with four degree loft increments up to a 46-degree pitching wedge. Hogan is making the PTx PRO available in 5-, 6- and 7-piece sets, depending on how long of a long iron you’d like in your bag. With Hogan’s direct-to-consumer pricing, the 7-piece set (4-PW) sells for $770.00, the 6-piece set (5-PW) sells for $690.00 and the 5-piece set (6-PW) sells for $600.00. Hogan is also introducing a new Flat Rate International shipping option. Any order over $400 can be shipped almost anywhere in the world for a $40 flat rate – not including duty or taxes (those remain the responsibility of the buyer). White does say there are a few places, such as Australia, where the flat rate is $50, but for Europe and most other parts of the world, it’s only $40. 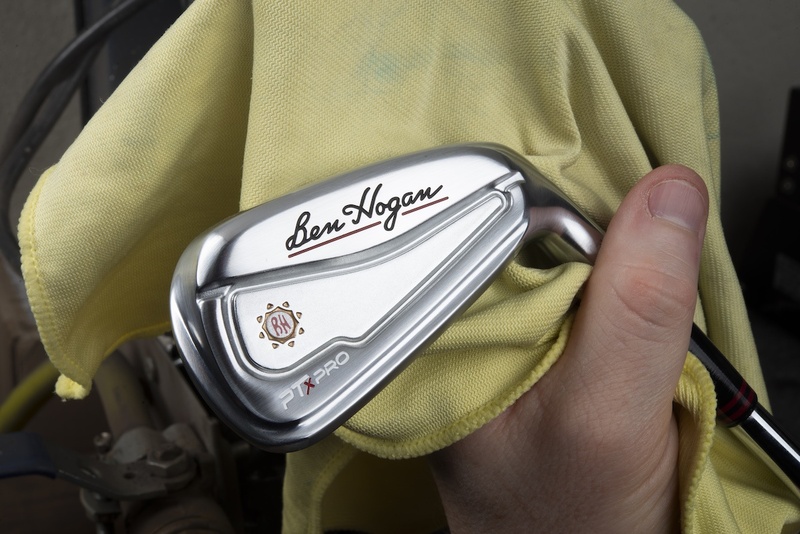 The PTx PRO irons are available today on the Ben Hogan website. It’s been a busy spring for Hogan. A couple of weeks ago the company released a quartet of putters – three blades and a mallet – the first Hogan putters of consequence since the Bettinardi-made lineup, again from the Spalding era. The new Precision Milled Forged Putter line features the Hogan Sunburst logo on the heel of each milled face and the iconic Hogan signature on the back, but it’s the forged part that piques the curiosity. 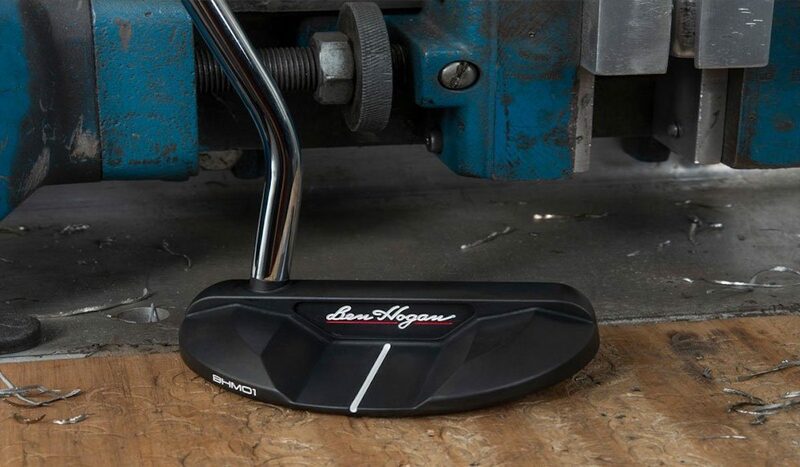 According to Hogan, the putter head itself is CNC milled, but it’s milled from a forged hunk of 1029 carbon steel as opposed to an investment cast hunk of steel. White says the difference is primarily in feel, sound, and consistency. Whether there are any actual performance benefits is an open question. 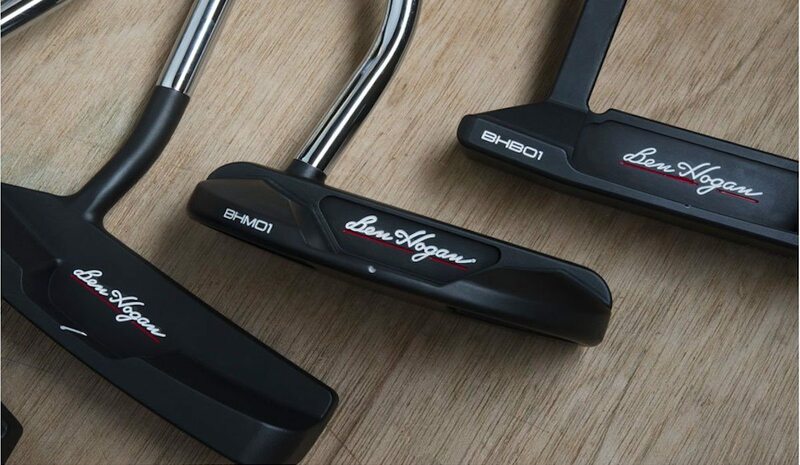 Hogan’s Precision Milled forged putters feature a Diamond Black Metal finish, are available on Hogan’s website for $250.00. 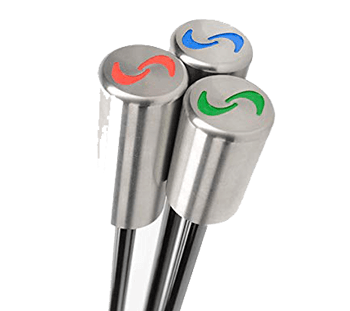 Length and lie alterations and your choice of one of three SuperStroke grips are included in that price. Hogan 3.0, the reorganized, factory-direct company that rose out of bankruptcy court in August of 2017, in reality, is a 20-month old virtual startup. As such, the company is intent on staying lean as it grows. The assembly and shipping team at its Fort Worth facility is small, and the company outsources many of its core functions, including finance and some R&D. It’s trying to avoid out kicking its coverage, as its immediate predecessor did. And while you can’t go into a store and demo anything Hogan, you can try its 14-day Demo Program: for $20 you can demo a 2-club set for two weeks ($30 if you’re in Europe). Startups such as New Level and Sub70 offer similar programs, as does Bridgestone. While it’s not the same as whacking a handful of shots into a simulator while shopping for balls and tees, you do get to try the clubs on the course for a couple of weeks. Hogan says over 70% of the people who try product via the Demo Program wind up buying. And Hogan isn’t done this spring. White says you can expect a specific progressive/combo iron set sooner rather than later. Instead of cobbling existing irons into a hodgepodge, White says the combo set will be specifically designed as a unified irons package. You’ll see other additions as well – again sooner rather than later – but the company is keeping mum about what those might be. “I think going forward you’re going to see more and more products that look like and have the aesthetics of the PTx Pro,” says White. I have demos of these with the Recoil Stiff. 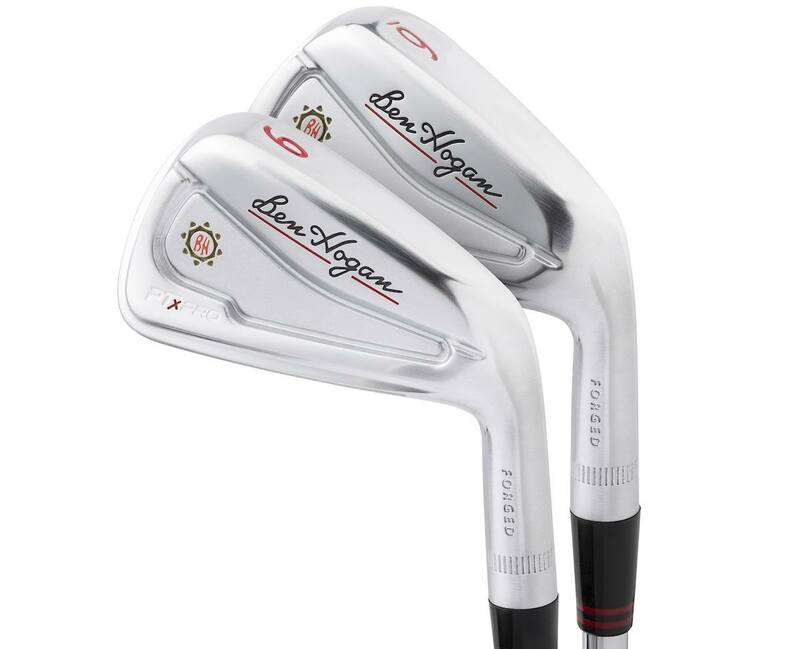 These are truly beautiful and classic Hogan irons. I’ve had one range session with them and they produced some really solid shots. More testing to follow but man do they look nice to this old school Hogan player! 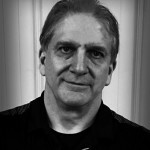 Ahhh – in 1988, as a new golfer, I went over to a pawn shop near my job one lunch hour and picked up a set of Hogan Apex PC blades. “These look pretty good” I told myself. It was years later that I realized that having purchased my first set of clubs with a sweet spot smaller than the size of a pea that it ultimately made me a better player since I had to work to hit them well. I still have those irons in a box in the garage. The bonus was a Spalding TPM 9 putter that was in with the Hogan’s – I used that putter regularly until about 5 years ago ! I just don’t understand why you would not use the apex edge plus forgings and CNC mill them. Tiger uses the sole design in his gamers. The last addition of the edge plus irons were the best irons made. Will never part with mine. Sooner or later this will happen so why not now.. I never have played Hogan clubs-at least not a complete set. However, these are classic. I have two sets of McGreggor muscle back irons from the 60s I think with original grips too. Every once in a while I am tempted to play a round with them but that has not happened. Love the old look but the modern clubs simply perform better. Hard to say for sure just looking at photo’s, but I don’t understand why Hogan didn’t bevel the topline. Easy enough to make it look thinner than it is, like P790’s. But maybe they are after a different market than low-mid index players that would be interested in these beautiful looking irons without such a thick topline. I like the more throw back look. I game the Apex 50 now, looking for a new set. The return of the sunburst is great. I’d prefer a slightly simpler badging scheme, but like the lines. Build something like this, in a true forged, slimmer package, with some well placed tungsten for MOI and CG optimization, and I am all in. In better days I played Apex 1 and then stepped up to Apex ’99, still pull the ’99s out from time to time. I agree with the return of the sunburst and the simple hogan signature. To me, a better choice than the Hogan medallion (from the Hogan Apex 1 & 2 models). That could be the iconic branding that flows through the entire Hogan line. These look great. 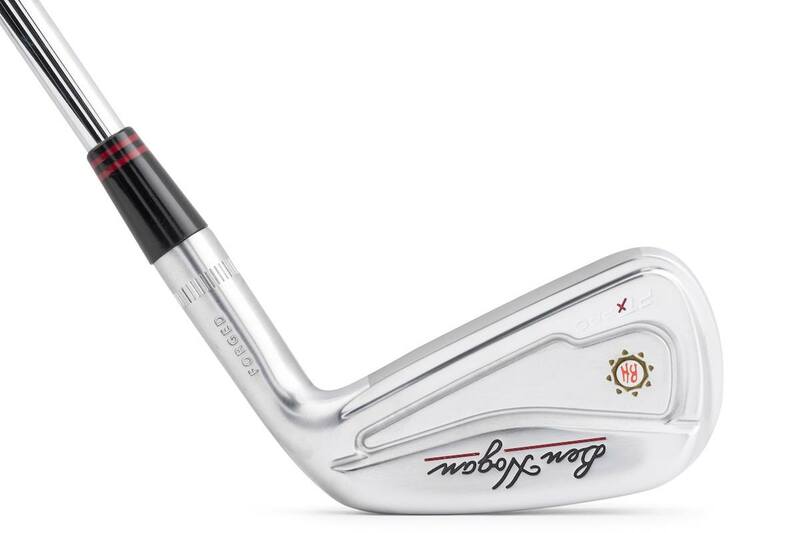 The look of the new irons does bring me back to the old Hogan Era Clubs. I still have a set of the Apex 2000 irons that I don’t game any longer. Kind of misleading that you can try their clubs out. I’m Canadian and they did say with demo option for us a couple years ago. Offered to pay shipping there & back they declined. Then now they finally offer a non-USA option & what is it? Europe. When you exclude a country that has more per capita players than any other country in the world & keep giving the tired “we will offer cda again someday” it gets real tiresome to offer no way to try the clubs first hand. Oh I’m sure as they have for 2 years… They’ll reply that it’s “coming”. The irons look great – I definitely like that they’re going back to the old school branding. That’s what I want to see from a Hogan iron. Not planning on updating my Ft Worth 15’s anytime soon but these look nice! Miss my APEX EDGE PROS! Passed the PGA PAT with those sticks. They were remarkable! If they play anything like the 79 apex II irons they’ll be great. The Apex II in my opinion was one of the best irons ever made. These absolutely bring back memories of my ’88 Hogan Apex Redlines. That is one set of irons that I miss every day. Sorry I let them go. The irons look solid with the exception of the offset. Why can’t they make an iron like this with reduced offset? This looks like an iron I would want to try, but after seeing the view from address, I have no interest. Please make a reduced offset version!!! I ordered the two demo clubs and received them today. I play the original PTx irons too. There isnt really much difference in the sole width or offset. From address the offset isn’t as bad as the photos look online. The top lines are a bit chunky, but overall they are very nice looking golf clubs. Definitely worth the $21.65 to see them in person and hit them on the range/course. Offset is about a half a club more than a Taylormade P790. That is the PTx pro 5 iron has less offset than P790 4 iron and so on throughout the set. If you are ok with the P790 offset I’m not sure you could tell the difference. Love the look of the updates and that they used the sunburst logo versus the cameo head. I’ll be intrigued to see the combo set as well. I’m guessing that they’ll stay in irons, wedges, hybrids and putters as the woods game is prolly a lot more expensive to jump into. hope to see some forum testing of these or the combo set, I still don’t understand how they could have been unhappy with the equaizer wedge reviews, they scored very, very well. Good to see White giving the company some real direction after everything that’s happened over the past few years. Very intrigued by the combo set. I’ll be keeping my eyes peeled for updates on that product. These look super…..props to Hogan and Co.